I was stewing in the card aisle at Target today about what I should buy. I was leaning towards Artifacts, but I just couldn't bring myself to do it. Target did have a slew of Excell re-packs back on the shelf, but none of them had Trilogy in them. I then looked over and noticed that the basketball version of the re-pack was also available for sale. Well, two of these are actually less than a standard Upper Deck blaster. Why not just get them both and call it a day? So I did. For about $16 I was able to get quite a good amount of content to open. Eight total packs and bonus cards sounds like a pretty fun break. I think the appeal of these types of products is that there is a surprise element to them. When you buy Upper Deck Black Diamond, for example, you know what's going to come out. Same with Upper Deck Series 1 - you're going to get a bunch of base cards and a couple of Young Guns. The Excell re-packs show you a couple of the packs that you get, but that's it. What are the other two packs going to be? I like the little intrigue that they provide. Granted, usually the rest of the re-pack can be terrible, but there is that little chance of hope that something good could be inside. The 50 random cards and the bonus items are pretty much a wash when it comes to these products. If there were anything good to place inside the little white box they come it, it would have been removed well in advance of these products going to the store for sale. When it comes to these packs, anything already opened will be of little to no value. The best bet is to hope in something to come out of the sealed packs for value, and the rest can just be fun flipping and reading. Without the Trilogy pack to look forward to, these Excel re-packs lose a lot of that excitement factor. But still there were things to put a tiny bit of hope in. I opened up the basketball re-pack first. Unfortunately, it was a total dud. The Press Pass packs only contained four cards each, and did not feature the players in their professional uniforms. Press Pass has always been a brand that hasn't been looked too favorably upon in terms of the hobby. They are cheaply made cards that can provide some nice early autographed items, but that's it. The Press Pass packs weren't the worst of it though. Even worse was the Skybox pack that came in the box. 1989 Skybox was a heavily mass produced product. It was a bit popular at the time of release, but has not aged well. You might as well just recycle the cardboard they are made on, really. The Upper Deck Hardcourt pack just had base cards in it... but at least they looked nice. As for the bonus in the basketball re-pack... terrible for the most part. 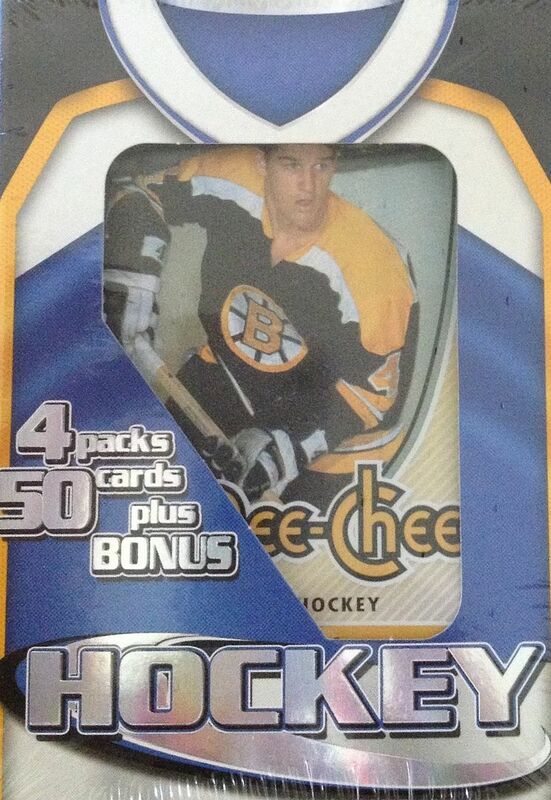 The hockey re-pack was better. Aside from the OPC and Victory pack, the blaster offered two Upper Deck Series 1 packs. These are a good pack to find in these things, because at least there is hope for a Young Gun. And I actually did pull a Young Gun from the 10/11 Series 1 pack - so that was nice. I was disappointed in the bonus card this time. The last few bonuses were in great condition. This time the large format bonus card was completely wrecked up. Even non-serious collectors would be pretty unhappy getting a card like that I think. This card would have actually been something very exciting to pull when it was first released. Back then the only thing out there was base cards with the occasional insert and sticker card. 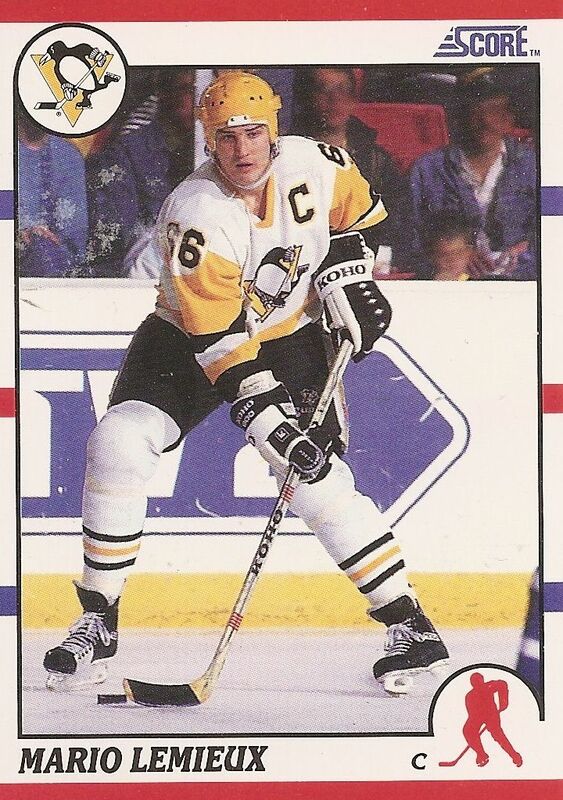 I really like this card as it shows a young Mario Lemieux on the ice for the Pens. One of my favorite insert cards designs were these Season Highlight cards from the 09/10 Upper Deck Series 1 set. I love the colors and the words all over the place. Something about it just speaks to me. It's not particularly worth much, but I always enjoy pulling these inserts out. Something has to be said when a card design elicits positive emotion. 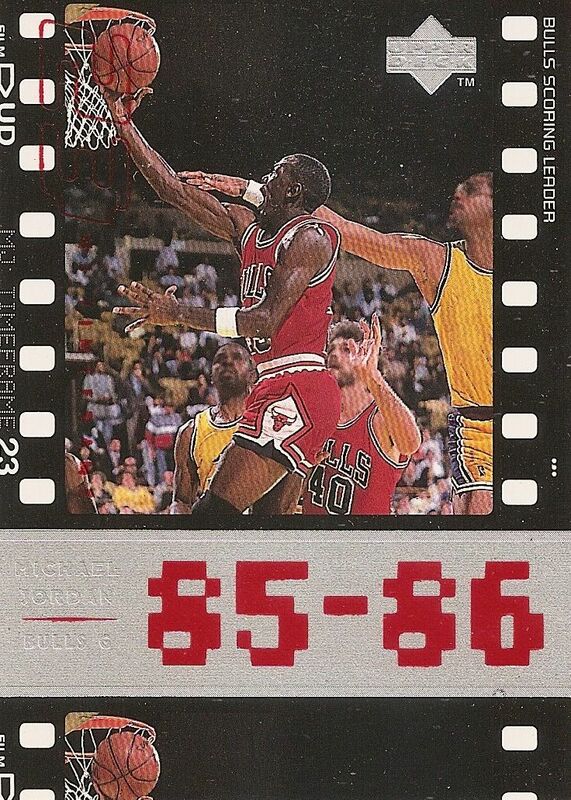 Most of the basketball re-pack was a big let-down, but I did like getting this Jordan card out from it. It's probably doesn't hold any sort of value, but it's Michael Jordan... and I haven't gotten anything Michael Jordan in a while. The card itself looks pretty neat, and I love seeing him in a Bulls uniform. There has been too much UNC images of him released on cardboard recently. Well, these two re-packs have me wishing that I had gotten the Artifacts blaster. Hah! Was it that bad? Not really... but nothing really good came from this break. I was very excited for the basketball re-pack, but that was a total waste. The hockey one proved to be quite a bit better in terms of overall value. This is the second re-pack product of basketball I have gotten, and both have been complete stinkers. I'm starting to get the feeling that these basketball re-packs are totally horrible. I mean, the hockey ones can be horrible... but the basketball ones are REALLY HORRIBLE. I'm sure I'll get another one of these days and prove this to myself once again. Keep watching! Not the best but i guess thats what you expect from retail. 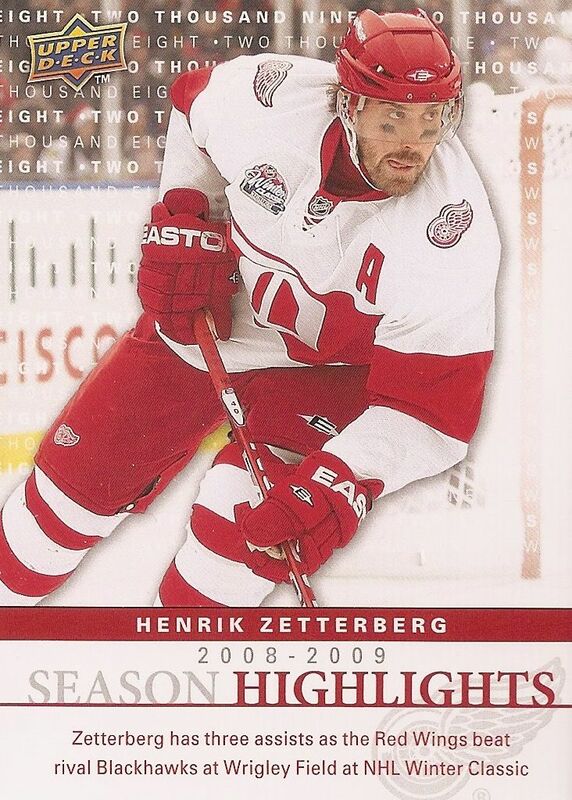 Did think the zetterberg card is really cool. I forgot to say the Ericsson rookie is pretty nice for detroit.